Jose Suarez arriving at Michigan Bluff. Arriving Michigan Bluff (mile 55) an hour ahead of goal pace. 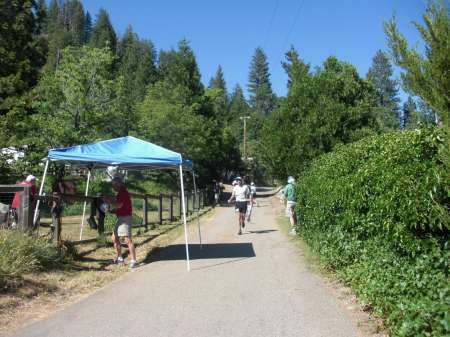 My son Joseph took care of me at this aid station and ran with me to entrance of trail.